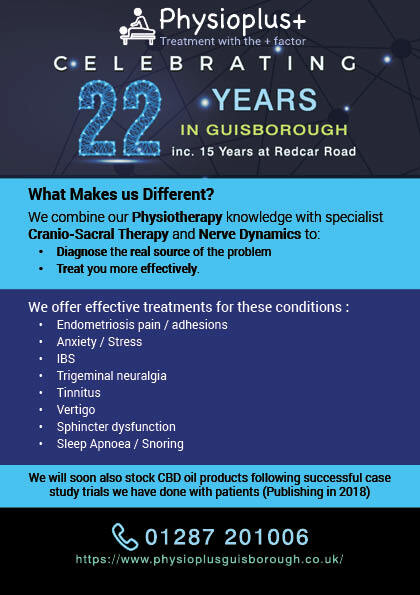 When taking up our Special Offers, you will be required to provide your EMail address so that we can confirm the date of your fixed time appointment and the location of Physioplus+ Clinic. All Special Offer appointments will be confirmed back to you by EMail. We operate under the GDPR rules with regards to data protection and frequency of any mailings to our "list"
We make no more than 4 mailings a year with "relevant" Special Offers and Information. In addition we mail 1 time a year to go through the mandatory GDPR processes. You can Unsubscribe at any time. All Special Offers require the booking of a minimum of 2 Treatments or 2 Massage Sessions. The maximum number of Massage Sessions at half price is TWO per person. 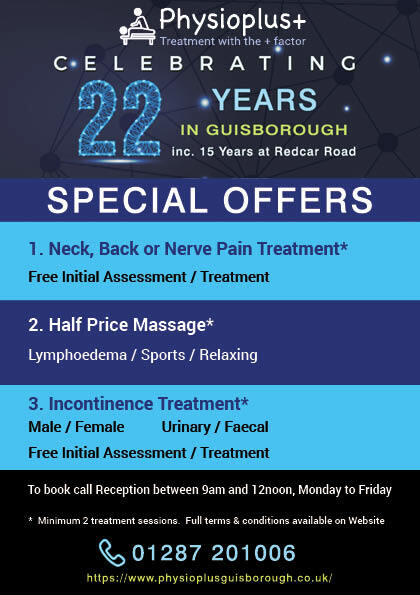 All treatments with Special Offers are on the basis of the free assessment which includes the first treatment followed by a second paid treatment to be taken within 2 weeks, The second session is paid for at the time of the assessment. Subsequent treatments if required will then be paid at that treatment. No offers can be combined with any other offers at any time. PLEASE NOTE - for some Treatments and at certain times of the year (Summer Holidays/Bank Holidays), we may be pretty busy so patience for your first appointment may be required.